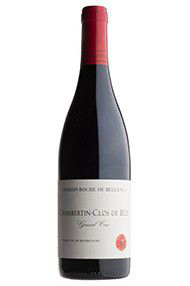 The 2013 Chambertin Clos-de-Bèze Grand Cru has an attractive mulberry and candied orange peel, touches of wild heather lending a bit of wildness. The oak is nicely integrated here. The palate is medium-bodied with grippy tannins: masculine with very fine tension on the black pepper-tinged finish that just needs to muster more flesh and corpulence. That may develop in bottle, of course. The Wine Advocate - The 2013 Chambertin Clos-de-Bze Grand Cru has an attractive mulberry and candied orange peel, touches of wild heather lending a bit of wildness. The oak is nicely integrated here. The palate is medium-bodied with grippy tannins: masculine with very fine tension on the black pepper-tinged finish that just needs to muster more flesh and corpulence. That may develop in bottle, of course.